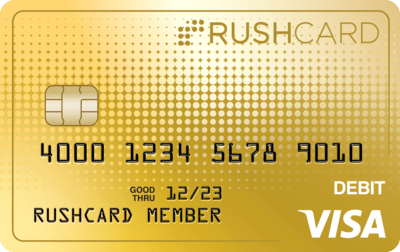 Your RushCard is packed with a ton of great features that can make it the only card you need in your wallet. In addition to features that allow you to easily manage your money your way, RushCard offers early Direct Deposit, tax refund options, enhanced security, retailer discounts, and financial counseling. With RushCard you’ll have all the tools you need to Make Moves. Set your RushCard up with Direct Deposit and get your money up to 2 days sooner.2 With Direct Deposit you can avoid waiting in line and paying fees to cash your checks. Best of all, it is fast, easy, and free to set up.16 Take control of your paycheck, government benefits, or tax refund and start enjoying the benefits of Direct Deposit. With RushCard, you are always in complete control of your money with several powerful features that allow you to manage your funds. Online Bill Pay allows you to avoid writing checks and pay your rent, phone bill, and other bills securely online. Transferring money between RushCards is a great way to send funds to friends and family. RushGoals allows you to set up and track savings goals with ease. Your RushCard is safer than carrying cash thanks to the powerful security features built in. If your card is lost or stolen, you can immediately prevent purchases and transfers with Pause Protection 19 AND you will not be liable for any unauthorized purchases with the Visa Zero Liability Policy.7 Strict fraud prevention and fraud protection policies ensure your money is safe with RushCard. Skip the lines. Cash checks directly from your phone.13 Funding your account is as simple as taking a picture of your check using the RushCard Mobile App.18 Cash paychecks, personal checks, business checks, money orders and more, anywhere, anytime. Get your cash in minutes for a fee or in 10 days at no additional charge.